JCU has won a top Australasian architectural award for its ground breaking education and student services building on its Townsville campus. The Education Central building has won the award for the overall major new education construction project at a national awards event in Adelaide this week. The awards were announced by the Council of Educational Facility Planners International (CEFPI) Australasia Limited. The jury was unanimous in deciding Education Central was the winner of the Australian New Construction Major Facility category. 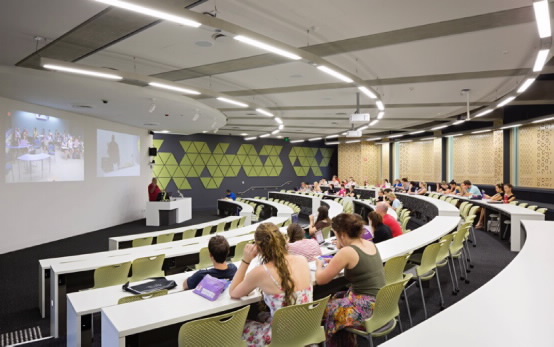 Built on the site of the old gym and squash courts on a central site of the Douglas campus, the multi-million dollar, two-storey development was open and ready for the 2013 intake of students. 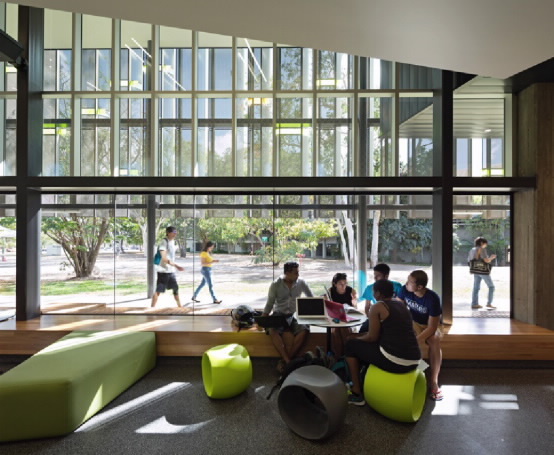 Professor Nola Alloway, the Pro Vice Chancellor of JCU’s Faculty of Arts, Education and Social Sciences, said the award was a reflection of the outstanding collaborative effort between the architect and the staff in the School of Education. “Our School staff were intent on providing contemporary, technology-enhanced learning spaces for our aspiring teachers,” Professor Alloway said. 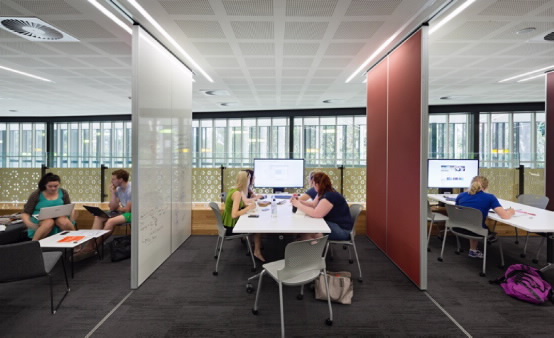 Designed by Wilson Architects, JCU Education Central has improved student services and incorporates contemporary methods of learning and teaching. Professor Alloway said the architects’ overarching strategy was to locate teacher training to the 'front and centre' of campus and ensure Education Central was well connected to other services by covered linkages. “In a campus as large and diverse as JCU it was important to ensure that legibility of travel was a key design element. “The project started with comprehensive research and visitations to other campuses and collaboration with the JCU community. This was followed by robust briefing workshops resulting in a briefing template that served the final design process well. Professor Alloway said the building would be a “lighthouse to the university community and beyond”. “It will allow staff to explore, research and demonstrate the nexus between technology, space, and new paradigms of learning informed by networks and connectivity,” she said. Photos by Chris Frederick Jones.